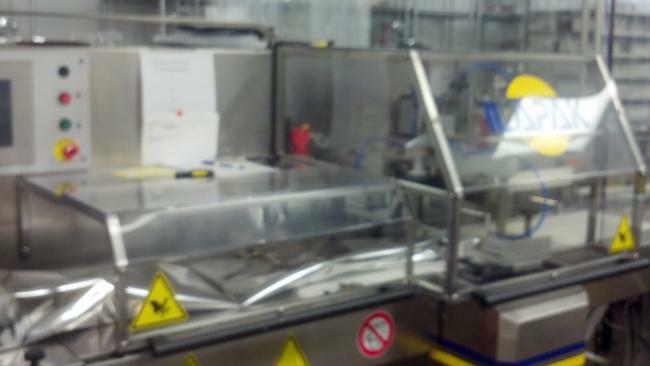 If you need a flow wrapper for your packaging line, check out this used Ilapak Delta 2000 Flow Wrapper for sale from High Performance Packaging. This unit is only 1 year old and was very lightly used so it has minimal wear and is in excellent condition as a result. Its film cutoff length range is 100 mm or 4 inches minimum to 650 mm or 26 inches maximum. The types of film structures this horizontal flow wrapper is capable of producing are Shrink Barrier films, laminated, co-extruded, and all-sealable films. No matter what industry you are packaging goods for, this machine can be a great asset to your production line, and purchasing reconditioned machinery is a great way to save a lot of money in your budget. Even the most used flow wrapping equipment we possess is restored to work for many more years. Contact High Performance Packaging to find out more about this product, including in-depth technical specifications, and get a quote today.